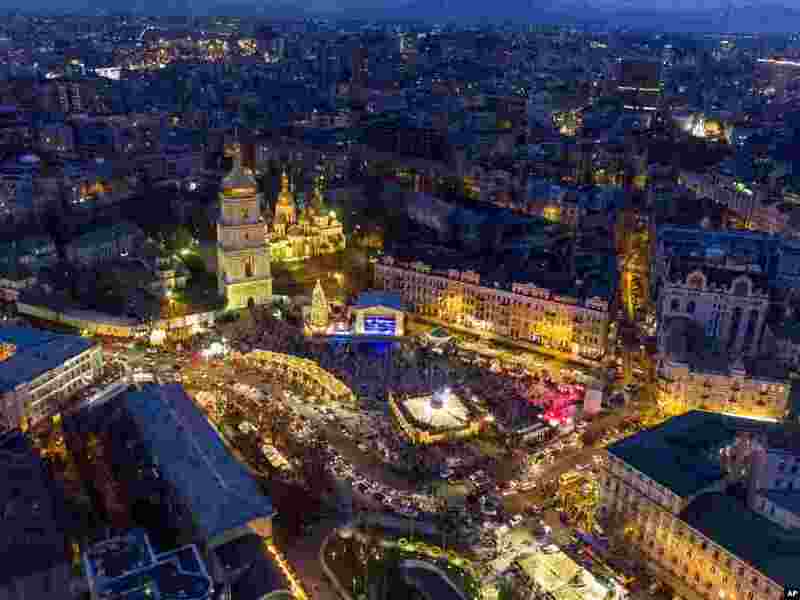 ١ St. Sophia Square is illuminated to mark the upcoming New Year and Orthodox Christmas celebrations in Kyiv, Ukraine. 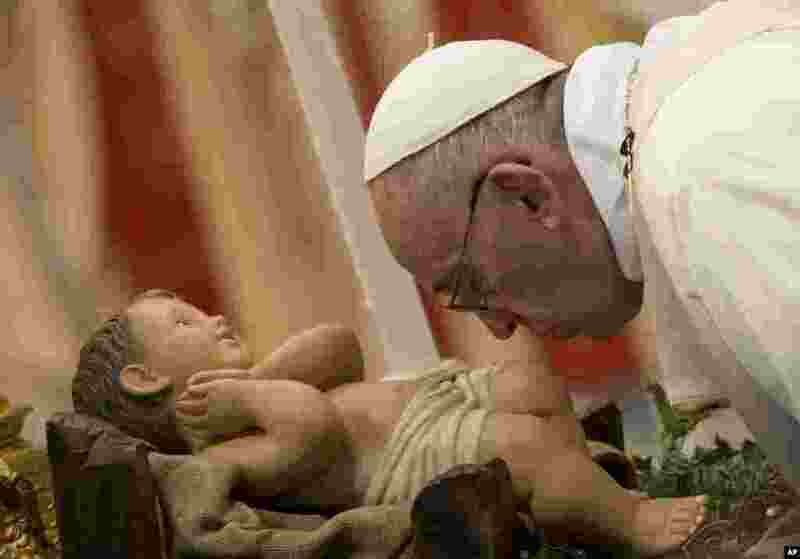 ٢ Pope Francis kisses the statue of Baby Jesus as he arrives to celebrate a Mass for families in St.Peter's Basilica at the Vatican. ٣ Men travel on a boat near flood-affected houses in Asuncion, Paraguay. 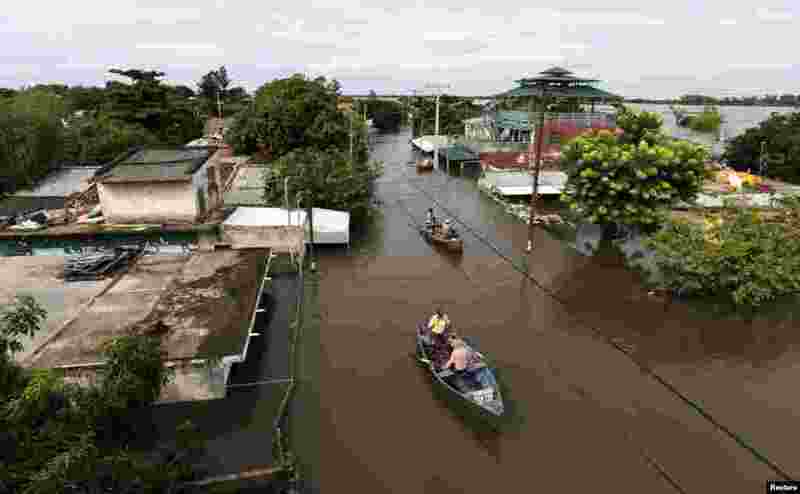 More than 100,000 people had to evacuate from their homes in the bordering areas of Paraguay, Uruguay, Brazil and Argentina due to severe flooding in the wake of heavy summer rains brought on by El Niño, authorities said. 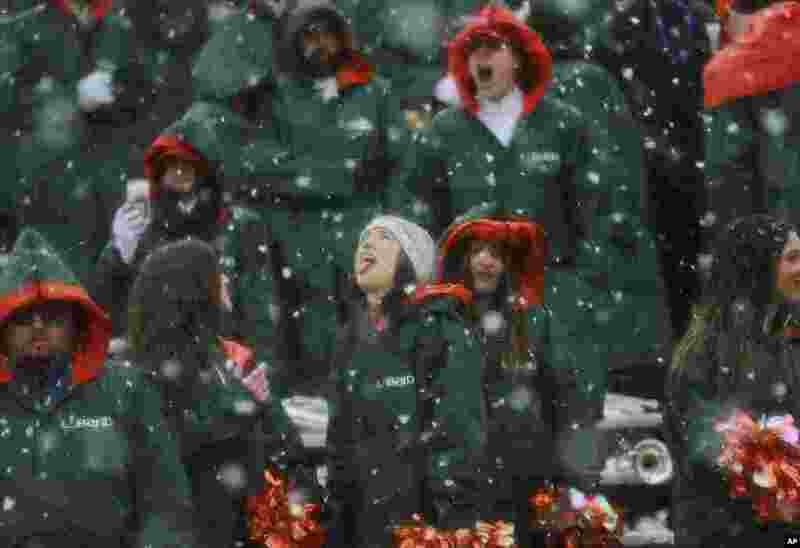 ٤ A Miami dance team member catches snowflakes during the third quarter of the Sun Bowl NCAA college football game between Miami and Washington State in El Paso, Texas, Dec. 26, 2015.